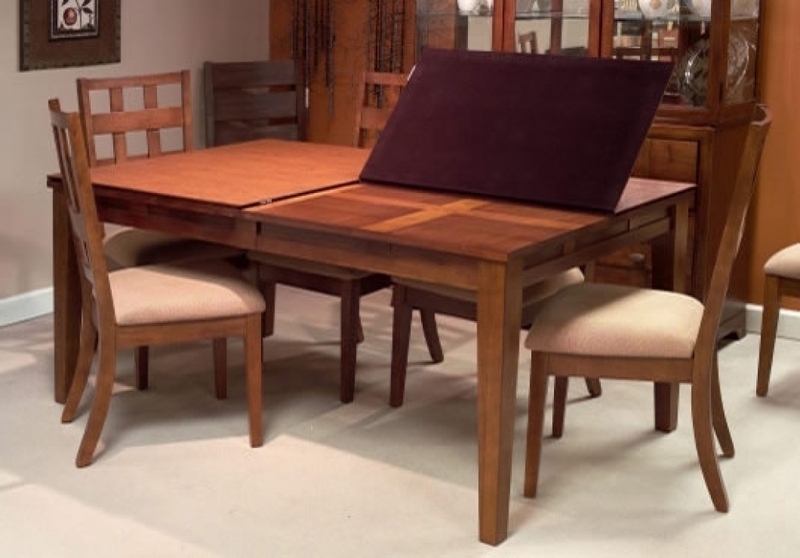 Your beautiful dining room table needs protection from damage from excessive heat, liquids spills and dents and scratches, Here you can find information about custom table pads and cut-to-fit table padding. Custom Table Pads are individually manufactured to order to exactly fit your dining room table. They are usually about 1/2 inch thick and they come in pieces that usually fold in half. There is one piece for each 1/2 of your table and if you have extension table leaves there will be a table pad piece for each extension leaf. Custom table pads contain substantial insulating material that provides protection from heat sources in contrast to cut-to-fit table padding. Custom pads are a permanent solution to protect your table that should last as long as your dining table. 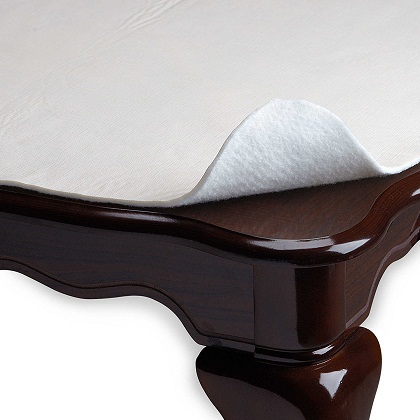 Cut-to-fit Table Padding is a cheaper product sold folded in packages. Their main advantage is that they are cheap and readily available. They are usually about 1/16 to 1/8 inch thick and provide very minimal heat protection. They come in a large size that you cut-to-fit with a scissors. A pad cut to fit your table without extension leaves will not fit your table when you add leaves. Since they are folded, you may have problems getting them to lie flat on your table.